If you don’t have the time or money at the minute for a large renovation project, there’s no reason you can’t make small changes. There are a number of simple and effective home renovations that are relatively cheap that will make all the difference when it comes to the look and functionality of your home. You can achieve a lot when you work smarter rather than harder. These home renovation ideas won’t take much time or labour, but they will breathe a breath of fresh air into your home until you are able commit to grander remodelling. Replacing internal doors and cabinetry is a low-cost way of changing a number of areas in the home. Your front door is the main entryway to your home and plays a major part in curb appeal. If it has seen better days, replacing your front door will instantly improve the aesthetics of the property. The same applies to any internal doors in the home. You can replace bathroom and bedroom doors, or remove certain doors to create a more open plan feel. Painting and papering aren’t exactly classified as renovating, but they do represent two DIY projects that can completely change the look and feel of rooms. Combined with retiling, your home will appear transformed to visiting family and friends. These are projects you can complete yourself but hiring professionals is also relatively cost effective if you are not confident enough to take on the task on your own. The simple addition of a skylight if you have a loft living space is cheap and effective. 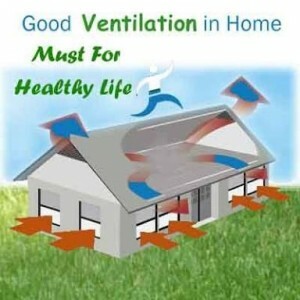 You will get more natural light and improved heat ventilation in the summer. A qualified builder should be able to install a skylight for a fair price, so long as the structure in question does not require any major adaptations of reinforcement to accommodate the new feature. Smart Appliances are fast becoming the favourite choice of homeowners renovating kitchens, bedrooms, living areas and bathrooms. If you can think of something that could be made easier or more efficient, there is probably already a smart appliance designed to do just that. From automated toilets to smart refrigerators that track your food items, almost anything is possible. For Northern Territory homeowners, smart meters for air conditioning are a particularly good investment. To give the appearance that you have renovated an entire room, you could consider installing panelling. Due to the wonders of engineering, wall panelling comes in a number of realistic designs including stone, tile, real wood and granite. Unless you touch the material, it is almost impossible to tell the difference between custom panelling and the real thing. The best part is, these materials are perfect for home DIY projects so all you need is the panelling and right tools for the job. Are you tired of the tiles in your bathroom? Sleek high-gloss glass is the way forward. You can replace your tiles at a cost that won’t break the bank and have an entirely different looking bathroom in no time at all. Working with glass is dangerous so it is recommended that you use a qualified fitter unless you have the skills and knowledge required to complete the job safely. High-gloss glass is especially beneficial in smaller bathrooms as it gives an illusion of spaciousness. Are you considering renovations in your Northern Territory home? 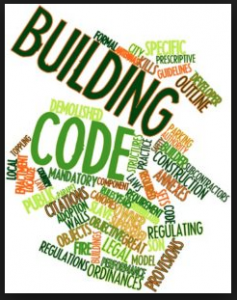 Consult with the experts from Houspect to determine your building inspection needs. 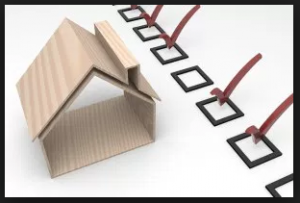 We only use qualified builders so you will receive detailed and actionable reports with whichever type of inspection we carry out at your home.